The USF Chapter of the National Academy of Inventors with the 2018 honorees. 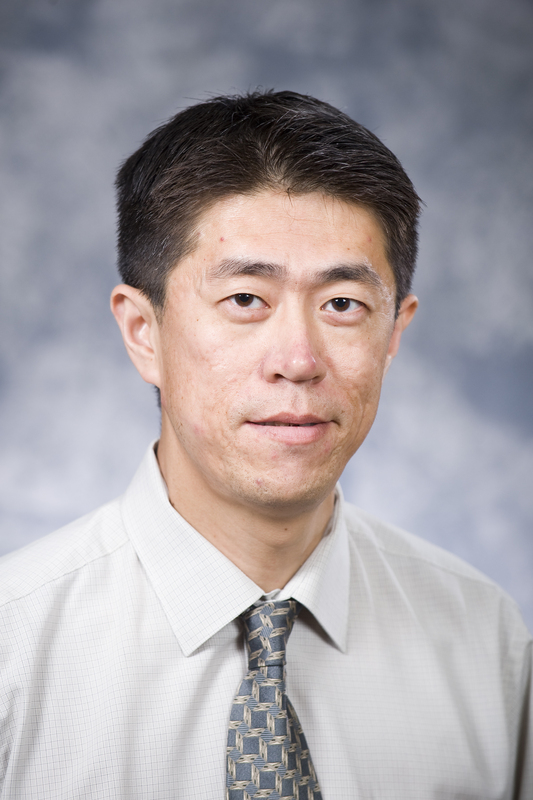 Tampa, Fla. (Sept. 17, 2018) – University of South Florida faculty members who have invented new technologies to assist people with disabilities, convert waste to liquid fuel, develop the systems that run robots and augmented reality, and fight cancer with nanotechnology have been named this year’s recipients of the Excellence in Innovation Awards. Four of the five recipients are from the USF College of Engineering: Professor Babu Joseph, Associate Professor John Kuhn, Assistant Research Professor Stephanie Carey and Associate Professor Yu Sun. They are joined by Morsani College of Medicine Professor Subhra Mohapatra in this year’s awards ceremony. The five USF inventors were recognized for their efforts in patenting new technologies, creating startup companies and securing research grants and external investments for advancing their technology. Carey was also specifically lauded for her efforts to mentor and support student innovators in their research and development of new technologies to assist people with disabilities. USF is the nation’s fifth leading public university in patenting new inventions and is recognized as a national leader in faculty startup companies and technology commercialization. Last year, USF set a new record with 116 new U.S. utility patents earned in 2017, while USF faculty and students launched 10 new startups over the last academic year. The Excellence in Innovation Awards each year recognizes USF faculty who have demonstrated exceptional achievement in innovation and research. Nominations are reviewed by their peers who are members of the USF chapter of the National Academy of Inventors. USF College of Behavioral and Community Sciences Dean Julie Serovich was also recognized for her achievements in guiding her then 8-year-old twin sons, Justin and Jared, whose invention of "wedgie-proof" underwear gained the twins national media attention in 2007. USF is the founding home of the NAI, and has the nation’s largest with more than 450 members. Since its inception in 2010, the NAI has grown to more than 4,000 individual inventor members and Fellows spanning more than 250 institutions worldwide. Also on Monday, Honorary NAI memberships where bestowed upon three individuals in recognition of their contributions to the organization: Former USF Board of Trustees member and 2018 Distinguished Alumna Rhea Law; Joel Momberg, Senior Vice President of Advancement and Alumni Relations & USF Foundation; and Rebecca Puig, USF’s Senior Associate Vice President for Research & Innovation. The duo were lauded for the efforts to advance their startup company, T2C-Energy LLC, which was awarded a U.S. Department of Energy Phase II SBIR grant in 2017 to convert landfill gas to liquid hydrocarbon fuels. This grant followed a successful DOE Phase I award and private investments. The patent for this conversion process was published in 2017. 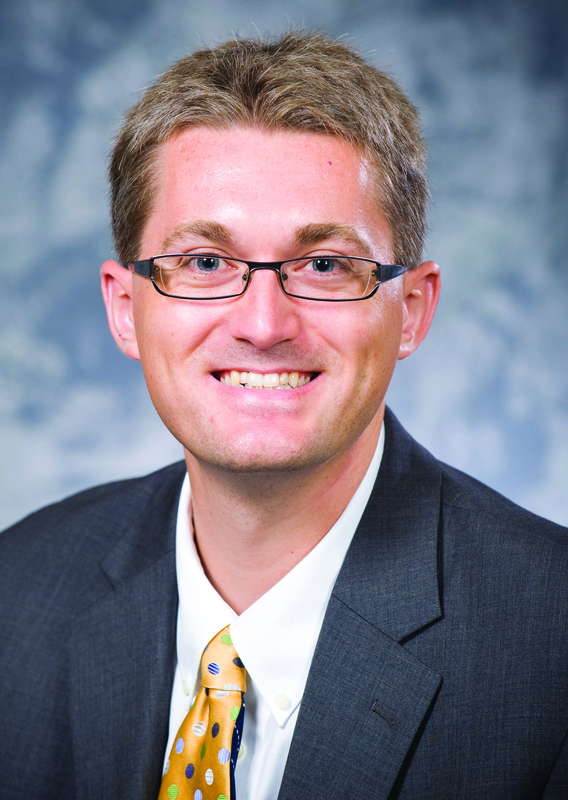 Last year, Joseph and Kuhn were invited to deliver several talks at energy and waste conferences on this subject, and co-authored several peer-reviewed journal articles and a book chapter. Kuhn was funded to participate in the National Science Foundation’s I-CORPS program in 2017 and Joseph was named a Fulbright Scholar at IIT/Bombay in 2017. 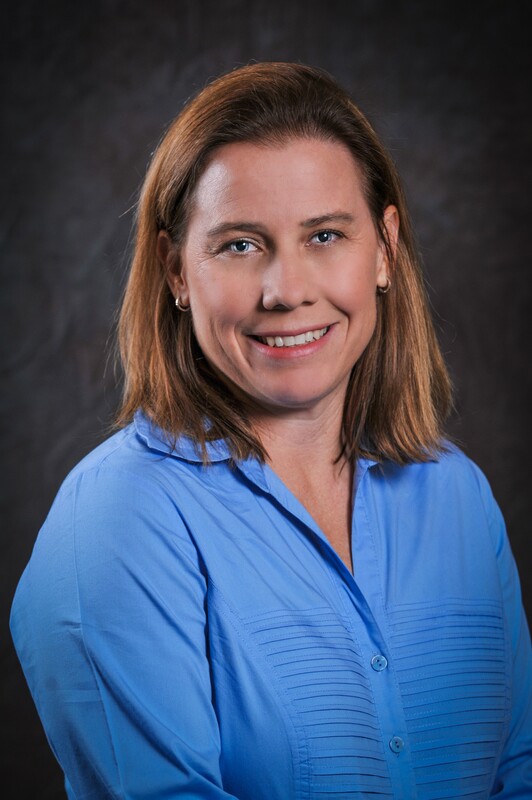 Carey received a patent for a prosthesis slip detection sensor and was invited to present her research at the World Congress of the International Society for Prosthetics and Orthotics in Cape Town, South Africa. The technology she developed provides dynamic feedback to adjust the prosthetic socket to fit better. Additionally, Carey’s efforts to secure two grants from NASA to optimize student designs of a geological sample procurement device and an exercise device for astronauts were noted in her nomination, as well as her success in winning a NSF I/University Cooperative Research Center planning grant to be create an iPerform Center – which integrates academia, government and industry partners to develop assistive technologies – at USF. Carey was also noted for being selected for a NSF I-Corps Team for her work with a wireless hands-free wheelchair control kit and for mentoring a student design team that was a finalist at the NAI conference in Washington, D.C., where they presented a patent-pending wrist-hand orthosis and provisional patent on/off stand. Mohapatra is being recognized for her successful efforts to secure a National Cancer Institute-SBIR Phase-2 funding of $1.49 million to work in collaboration with the USF startup company she co-founded, Transgenex Nanobiotech Inc. Last year, Mohapatra earned six new U.S. patents and submitted four other patent applications in the area of cancer nanotechnology, including two “pioneer patents” – which cover a major technological advance that has never before been introduced. 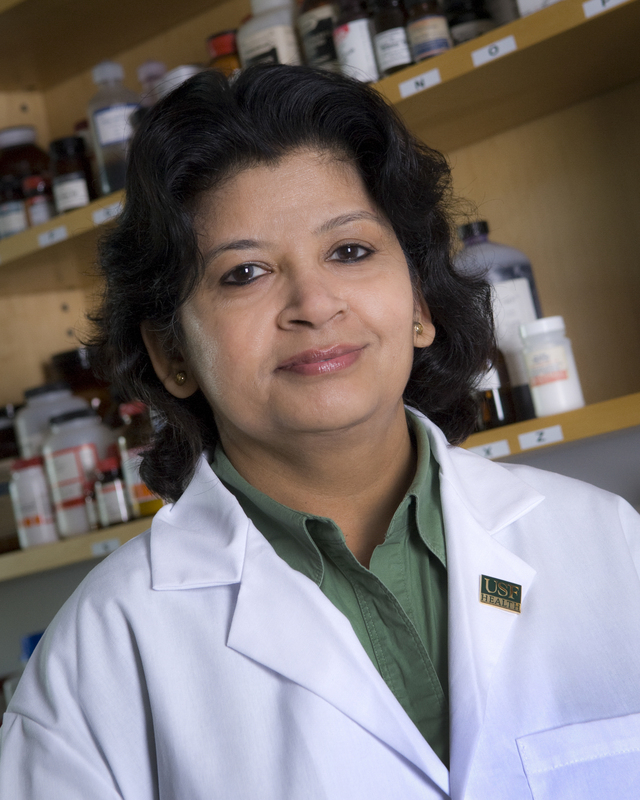 Mohapatra also was recognized for her entrepreneurial achievements, including a licensing agreement and commercialization of a line of cell biology products, including 3D nano fiber discs, Tumor microtiter Plates, and customized 3D Tumors for research use in Japan, India and the United States. Additionally, her efforts were instrumental in advancing personalize breast and colorectal cancer treatment platforms at USF Health and area veterans hospitals. She also compiled a stellar list of academic publications, with articles published in such high-impact journals as Cell Transplantation, Critical Review Therapeutic Drug Carrier System, Anticancer Research, Digestive Diseases and Sciences, J Drug Delivery Science and Technology. 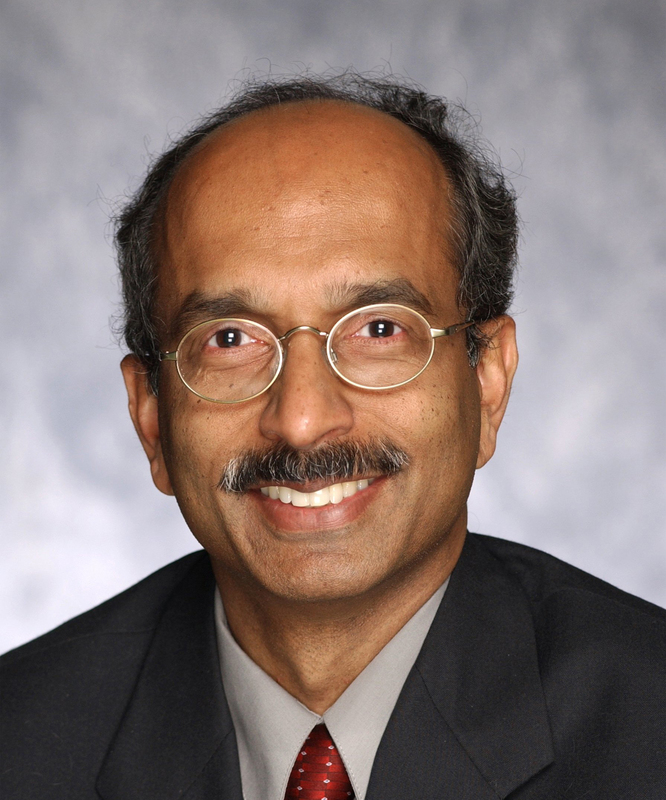 Sun was selected in recognition of five inventions granted U.S. patents in 2017, all where he served as the lead inventor: Generating Robotic Trajectories with Motion Harmonics, #9,764,469; Techniques to Enable Robot Intention Expression, # 9,744,672; Systems and Methods for Planning a Robot Grasp That Can Withstand Task Disturbances, US patent #9,649,764; Systems and Methods for Providing Augmented Reality in Minimally Invasive Surgery, US patent # 9,646,423; Systems and Methods for Providing Augmented Reality in Minimally Invasive Surgery, US patent # 9,547,940. Additionally, Sun filed patent disclosures in collaboration with researchers at Stanford University, published two peer-reviewed articles, had one paper accepted for publication, edited a book accepted for publication and received a new grant as co-PI.